Dr. Amy Tuteur, also known as “The Skeptical OB” (ironic, since she is no longer a licensed obstetrician), hates the home birth industry. This is not a dramatic statement — she’ll gladly tell you this herself and has written it frequently, in more aggressive ways, on her blog and in the comments section of articles about women’s choices in maternity care. Her view, as Slate put it in an interview with her, is that “ the alternative birth scene is largely based on self-serving myths, not science, and creates unnecessary guilt in women who don’t abide by its standard.” Dr. Tuteur recently wrote a book that faced criticism from advocates of alternative forms of maternity care, and has attacked women who want unmedicated birth on her blog, claiming there is no benefit to such a thing (though years of research prove the opposite). In a recent New York Times piece, “Why is American Home Birth So Dangerous?,” Dr. Tuteur specifically took aim at Certified Professional Midwives (CPM), the primary attendants of home birth in the U.S., questioning their credentials and qualifications. Since I’ve read Dr. Tuteur’s work before, I actually found the article quite tame (or perhaps heavily edited) — but that doesn’t change the fact that most of what she writes is wildly inaccurate. Her “witch hunt,” as it was called in a rebuttal to the Times piece, also ignores serious issues with modern maternal care in the U.S. But most importantly, it’s not Dr. Tuteur’s — or anyone else’s — business what women decide to do with their own bodies. Dr. Tuteur’s argument to “abolish the CPM” is also a problematic one, considering CPMs are the only midwives specifically trained for birth that takes place outside of a hospital. A call to eradicate the CPM certification is, then, a call to dispose of home birth altogether — a restriction of choice that is dubious and not likely to happen. There is a growing demand for out-of-hospital birth in the face of high rates of unnecessary hospital intervention. Many women desire home births for a whole host of other reasons as well, such as the best shot at a vaginal birth, freedom of movement that often isn’t found in hospitals, and the comforts of home during and immediately after delivery. A growing number of women want to birth under the midwifery model of care, and will not stop fighting for their right to that option. 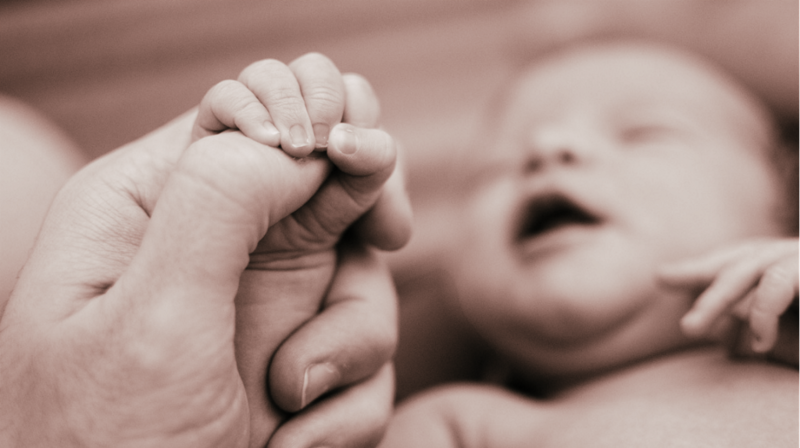 CPMs are proven to be capable of meeting the needs of women who want home births. They are trained in all aspects of birth, and their knowledge is extensive. The CPM credential is nationally accredited by the National Commission for Certifying Agencies (NCCA), which has accredited more than 300 programs in a range of professions, including nursing. The rigorous training takes three to five years, and requires completion of a national board exam and a clinical skills assessment process, as well as continuing education and recertification every three years. A CPM must also meet the standards for certification set by the North American Registry of Midwives, and is the only midwifery credential that requires knowledge about and experience in out-of-hospital settings. For this reason, the American Public Health Association and WHO recommend midwives as the primary maternity care providers for the majority of women. CPMs were also recognized in The Millbank Report: Evidence-Based Maternity Care as the model for low intervention and good outcomes. The expansiveness of the CPM training regimen is likely one reason why many women who use this model of care often speak to how well-rounded and far-reaching it is. Speaking personally, when I birthed with Certified Professional Midwives two years ago, I was shocked to find out that our prenatal sessions weren’t the quick 15-minute doctor’s office visits I’d become accustomed to when I was pregnant with my first child, but 45 minutes to an hour, each time. I was asked about everything from what I ate for breakfast, to how much stress I was under. I wasn’t merely weighed and measured and sent on my way because, as my midwives often said, there were far more things to consider than the size of my belly. The approach was far from “one size fits all,” but felt in-depth and personal. Overall, my home midwifery care was more extensive than I could’ve imagined. My midwives saw me through my labor and delivery. They attended my birth from start to finish and stayed for several hours after my baby was born. I spent far more time with my midwives than I ever did with my obstetrician, who did not even end up attending my hospital delivery. Instead, a masked man — the on-call doctor whom I’d never seen before — popped in seconds before my baby came out and left almost immediately afterwards. Someone I didn’t know at all delivered my first baby, but that wasn’t before he sliced me up with an episiotomy (a procedure that is not routinely recommended) without even so much as a “how do you do?” I didn’t see my actual doctor until a few hours before I checked out of the hospital, days later, when she briefly stopped by, pressed on my belly, and offered me a “congratulations” on new motherhood. A great number of other women report strikingly similar experiences to my own. But despite the facts, stats, and anecdotes to the contrary, Dr. Tuteur continues to claim that midwives are all glaringly incompetent. That said, there is one point on which we marginally agree: Dr. Tuteur points to the fact that in many states, CPMs remain unlicensed, making the births they attend less safe. Certified Professional Midwives are, indeed, legally authorized to practice in only 29 states (Certified Nurse-Midwives, or CNMs, who are dually trained in midwifery and nursing, can practice in all 50 states, while Certified Midwives, which are similar to CNMs but lack the nursing training, can practice in just three). Dr. Tuteur is right — midwives being left unlicensed does not do anything to help ensure the safety of women. But ironically, it’s the unfounded idea she perpetuates — that midwife-attended home births are radically unsafe — which has, well, made them less safe. Without legal support, it’s harder for midwives to get proper training, and if they are forced to practice in secret, they are less likely to be able to ensure safe hospital transfers if and when they are necessary. Dr. Tuteur advocates not for legalization and regulation (which means safety), but rather to abolish the CPM, leaving women with fewer choices in childbirth than they currently have (and that’s not much). Of course, we need standards to ensure that midwives practicing outside of the hospital environment are up to snuff. But the ones pushing the hardest for those standards aren’t people like Dr. Tuteur, who are talking about how ill-equipped midwives are, but the midwives themselves. They’re the ones knocking down doors and rallying on street corners and going to the courthouse year after year to make sure midwives in every state can be legal and licensed and regulated. They’re the ones crowdfunding and petitioning and fighting for safety standards, not against them. Though Dr. Tuteur would like you to believe otherwise, midwives don’t want to practice illegally. In fact, they want standards more than anyone. They want their licenses so that they can practice with the respect and dignity that they deserve and have been denied for so long. They don’t want to fear prosecution any longer for helping women who are so desperately clinging to their choices in childbirth. And with the rising rates of women who desire different options than hospital birth, not only keeping CPMs around, but making them more accessible, is a very good idea. Not only does it drastically reduce the cost of birth nationwide, but it helps keep low-risk women low-risk. Out-of-hospital birth has demonstrated that a drastic reduction in unnecessary interventions like cesareans, which have greater risks than vaginal deliveries, is not only possible, but should be the standard of care. The U.S., a country where women primarily birth in hospitals under obstetrician-led care, has the highest maternal mortality rate in the developed world. Are there bad doctors out there who make birth less safe for women, who routinely sacrifice women’s safety in favor of a speedier delivery or a paycheck boost for every unnecessary intervention done to her body, which may take longer to heal from? Absolutely. Our high rates of intervention show how little caution is used. Not to mention the countless reports of women saying they were forced, pressured, or otherwise manipulated into procedures they say they didn’t want or need in the delivery room. Choices in childbirth are so important, as are all the choices women make regarding their bodies. But Dr. Tuteur seems dead-set on making sure women don’t get to have them. Weeding out the handful of bad midwives practicing out-of-hospital birth would undoubtedly be a good thing, but it won’t happen until CPMs can practice legally in all 50 states. Shouting from the rooftops that they are all dangerous, ill-equipped, and grossly negligent does nothing to protect women, like licensing midwives would. If Dr. Tuteur really wants to help women, like she says she does, she should rally behind certified professional midwives to ensure they can give women what they really need — the rights to their own bodies and access to safe birth.